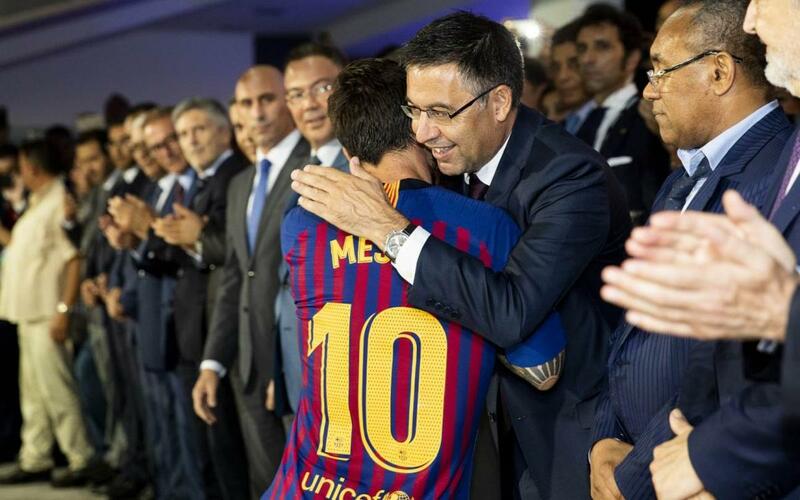 FC Barcelona president ​​Josep Maria Bartomeu spoke to El Transistor, a radio show on Onda Cero, this Monday about a number of important matters. The proper names that came up included Leo Messi and Ernesto Valverde, but he also responded to questions about the club’s record revenue and the possibility of a league fixture being played in Miami, among other hot topics. "I don’t know if Girona v Barça will be played in Miami. La Liga’s proposals seemed like a good idea to us to promote the league, we have to get closer to the fans and find new sources of income. But it’s not my decision. Our CEO, Oscar Grau, spoke to the captains the other day, together with Pep Segura, and told them where the club stands on this. We are competing for money with the Premier League and increased revenue would be good for the smaller clubs too. But unless there is agreement, we won’t be going to Miami ".